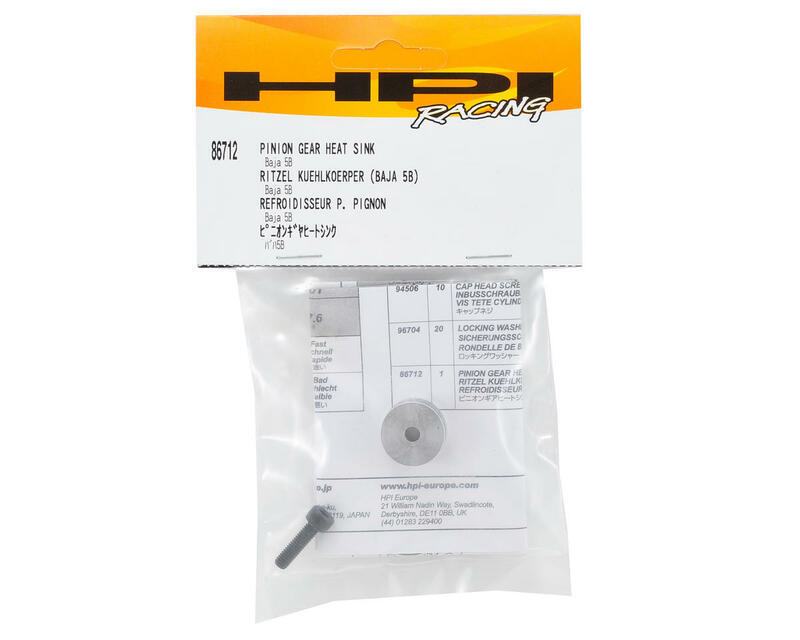 This is a replacement HPI Pinion Gear Heat Sink, and is intended for use with the HPI Baja 5B, 5T and 5SC 1/5 scale vehicles equipped with the optional HPI Heavy Duty Pinion Gears. 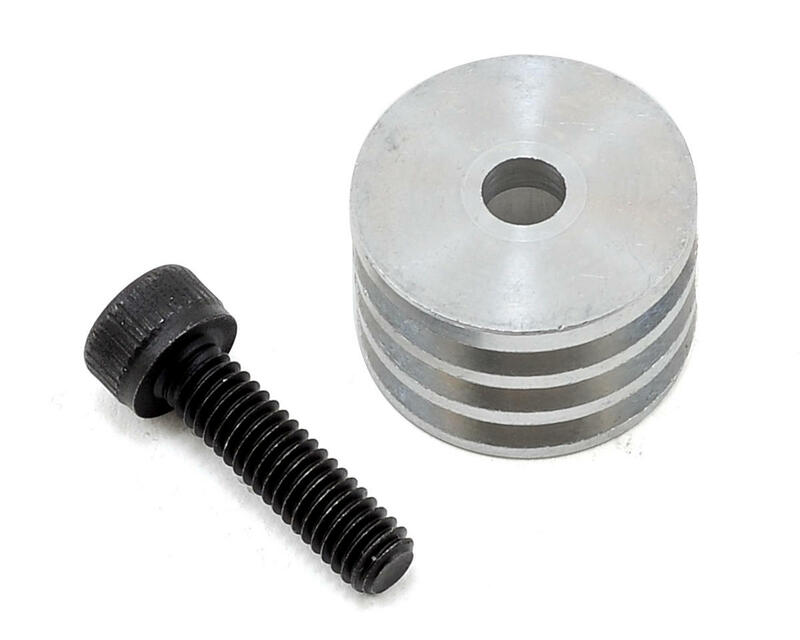 This heat sink can also be used optionally with the stock pinion gears. This machined aluminum heat sink helps cool not only the pinion gear but also the clutch for longer spur gear life.